It was a beautiful day in Fort Worth so I took the video camera outdoors to talk to you about one form correction you can make to improve your running efficiency instantly. 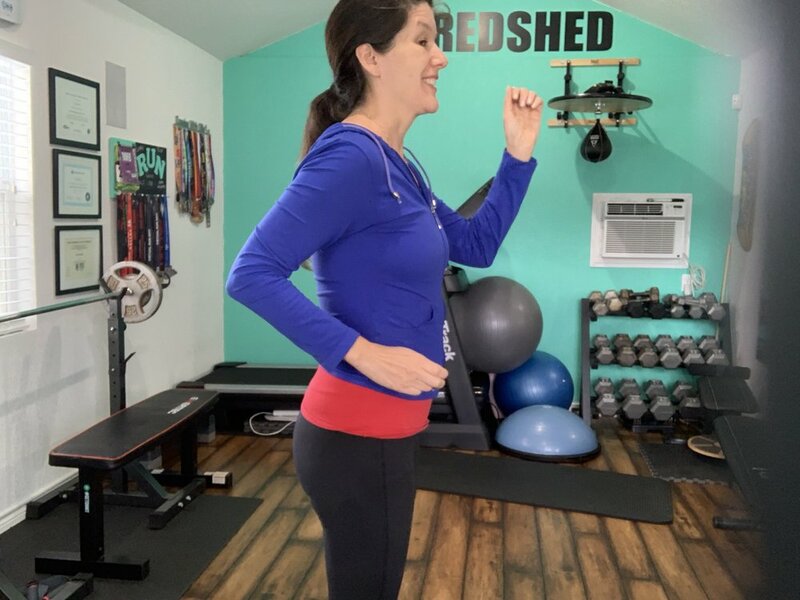 Often we don’t think much about our arms at all while we are running, but with the correct movement we can conserve energy and improve running performance. When I see runners, either out of the streets in my neighborhood or at a race, I notice a lot of people are moving their arms without intention. Maybe they are just tired, and form is breaking down, or perhaps they never gave much thought to how improving arm movement can improve their running. Avoid common arm movement mistakes and improve your running. The first mistake I see is that runners let their elbows flare out to the sides. Keep your arms close to your sides, sliding along your body as they pump. Don’t run like Phoebe Buffay. When runners allow their arms to cross over the front of their body it wastes energy. The only movement of your arms should be forward/up and back. I ran a mud run one year and strapped an action video camera to my chest to capture the fun. After the run, I didn’t have any usable footage because my arms kept crossing over my chest and obstructing the camera’s view. That’s inefficient form. Pretend like you have a camera on your chest, don’t let your arms block the view of the camera. With your arms at a 90 degree angle and your shoulders relaxed, pump your arms forward and backward. Start with your arms at approximately a 90-degree angle with your elbows close to your sides. With your shoulders down, back, and relaxed, pump your arms forward/up and back. 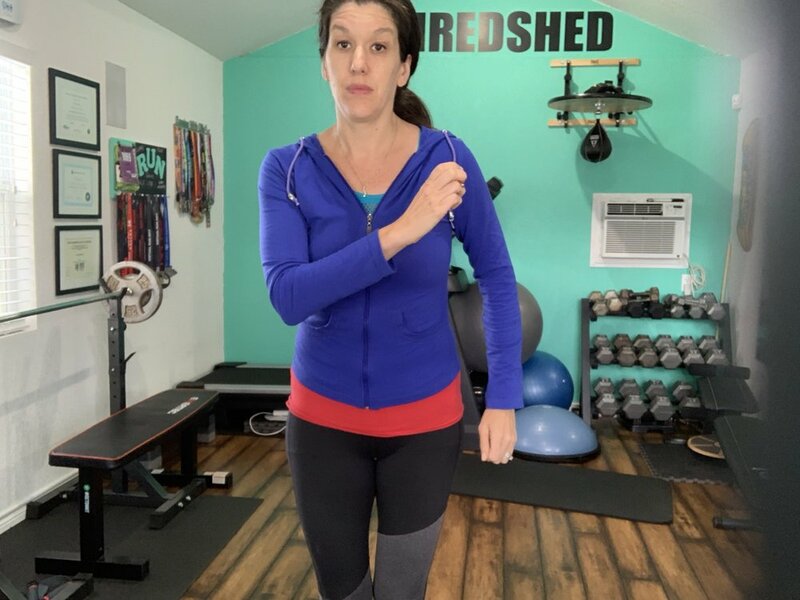 I made a short video to demonstrate proper arm movement. 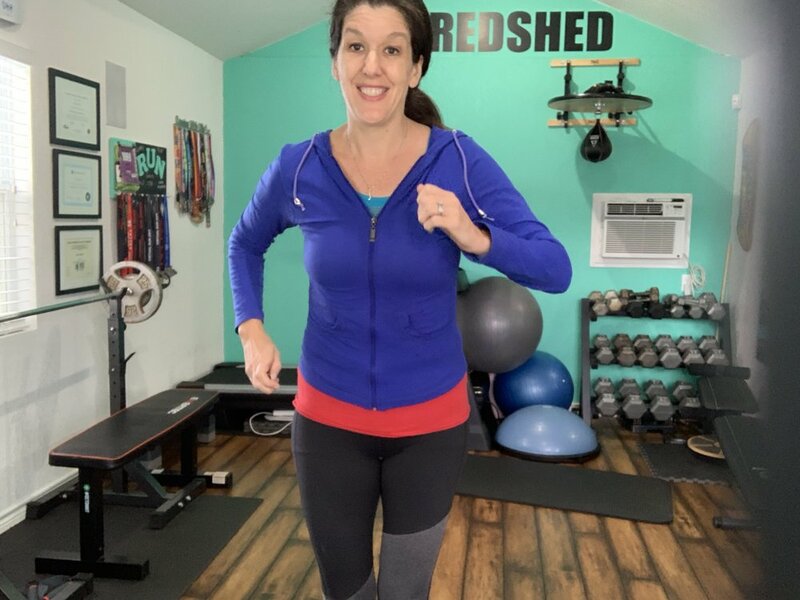 Your assignment for “workout Wednesday” is move your arms with intention on your next run and let me know how it goes in the comments or on social media. Did you like this post? Do you know someone who might benefit? It helps me a lot when you share my content with your friends and followers.